That's brilliant that you can improve upon some work you did twenty years ago using today's technology! Considering the forthcoming Lunar eclipse, here is one I took on 3rd March 2007. In a reverse of the usual pattern it was cloudly all day but then cleared just as the eclipse started. 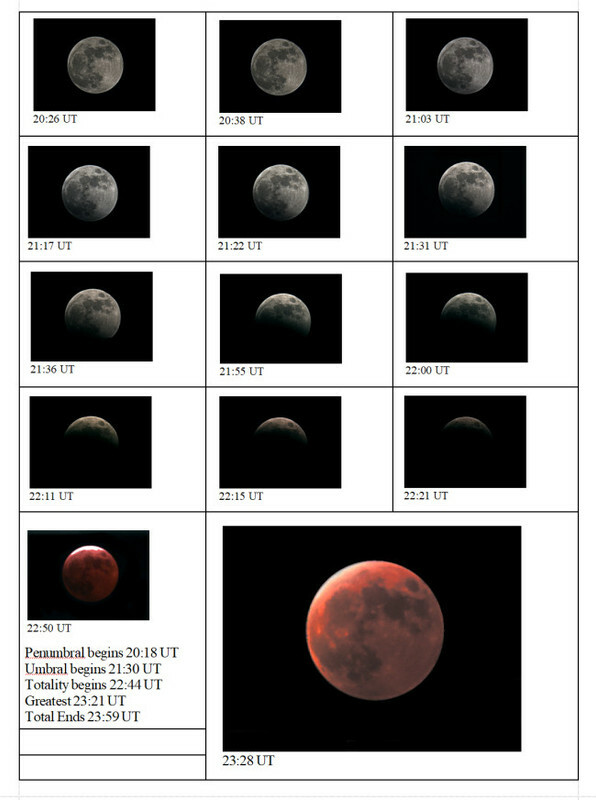 This is a page from my log showing the progression of the eclipse. You can see how I kept the exposure time throughout the eclipse, but then had to increase it at the end to get the red colour. I do know it was the last lunar eclipse I saw for some while. For many years after that every event was clouded out.